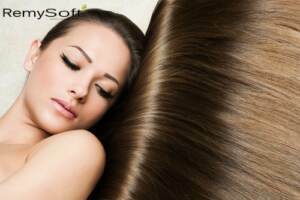 The best hair extensions are made from virgin hair. If you’ve never had a wig or hair extension before, you may be perplexed about the term “virgin hair.” You probably wonder what it is and whether it’s desirable. Read on to learn everything you’ve ever wanted to know about virgin hair. Let’s begin by telling you what it is not or what it could be but certainly doesn’t have to be. Virgin hair isn’t necessarily hair that comes from a virgin. Virgin hair is hair that has never been chemically processed (dyed, permed or bleached). Chemical processes damage the hair cuticle and cause dryness, split ends and uneven texture. Virgin hair is healthy, uniform and natural. 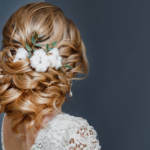 If you weren’t sure if you should seek out hair extensions or wigs that use virgin hair, the answer is a resounding, “yes!” assuming you want to look your best. What Is Remy Virgin Hair? Remy virgin hair is another term you’ll probably see and hear if you’re contemplating getting a wig or hair extension. No — Remy is not the name of the person who provided the virgin hair. Remy is the name for the way the virgin hair is extracted from a donor’s head. In the remy process, hair is extracted in a way that ensures the hair cuticles remain healthy and aligned properly. The hair’s exterior cuticle is responsible for its shine and strength. A healthy cuticle helps a hair strand maintain moisture. Hair with optimal moisture looks sleek and vibrant, not dry and dull. If you are seeking a full cap or partial cap hair replacement and want your new donor hair to look like your hair, insist on remy virgin hair. It’s the gold-standard in hair replacement. How Should You Care for Virgin Hair? Once you get a wig, weave or full or partial cap hair replacement, your first concern will probably be how to care for a wig, weave or replacement made of virgin hair. That’s an important question, because the last thing you want is for your wig, weave or replacement to become damaged. You want to keep it looking as sleek and silky as the first day you proudly saw your new hair in the mirror. 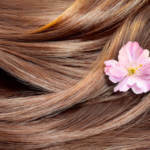 The best way to care for a wig is to remove it before you sleep, swim, bathe, shower or do anything that could damage it. Store it in a secure location away from extreme temperatures, direct sunlight, pets and children. Use quality products to clean it. Weaves and replacements are different. You can’t remove them from your scalp. Instead, gently cleanse them as needed with sulfate-free shampoos and conditioners. If you want to enhance your look with hair extensions, replacements or wigs, look for options made of virgin hair. Virgin hair is natural, healthy and will last longer than hair that has been damaged from chemical processing. Contact us to learn more about the remy process and products that will keep virgin hair looking amazing.